Splashtop is one of the leading pieces of remote desktop software, not to mention app of choice for NVIDIA CEO Jen-Hsun Huang when he wants to play Skyrim on his tablet. Now, Splashtop 2 HD has hit the Play Store, bringing pinch-to-zoom support, a new interface, and a very attractive price tag of free, for the time being. As of right now, the app is free on the Play Store, however Splashtop says that this deal will only be available "for a limited time." Now, according the Play Store rules, a developer cannot convert a free app into a paid app, so it's unclear just how this will work once the developer ends the free period. They might remove the free listing, create a paid listing, and then all current users can continue to use it (sans updates, of course) as long as they don't uninstall the app. Or, perhaps, the charge will be implemented via a new in-app purchase. This may mean that even users who download it for free now could be paying in the future. Either way, free-at-the-moment is still the best deal you can get on a Splashtop app, regardless of how long you get to keep it. When the app does turn paid, the company says it will cost a one-time fee of $9.99. In addition to the aforementioned non/pending charge, there will also be an in-app subscription to unlock the ability to stream your desktop over 3G/4G via the Anywhere Access Pack. Plan options are either $0.99 a month or $9.99 for a full year. On the one hand, it can feel disheartening being charged multiple times for the same product because of where you use it. On the other hand, it's a pretty small price to pay for a feature that most users would either rarely need, or need often enough to make the $10 a year worth it. If you'd like to give it a whirl, grab the app from the Play Store via the widget below. Be sure not to uninstall it later on, though, in case Splashtop lets free users keep it once the paid version goes into effect. This still doesn't clear up quite how free users will be affected by the inevitable switch to a paid Splashtop 2 HD app, but hey, at least if you're using the old version, you could maybe score some free Anywhere Access! 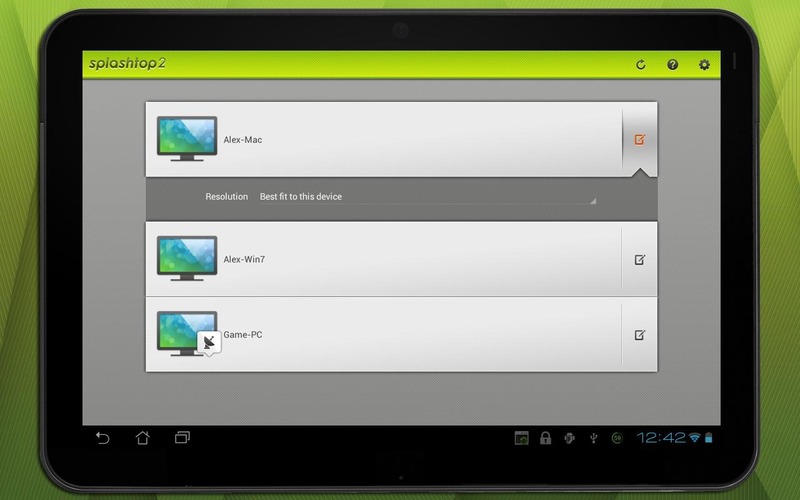 August 8, 2012 - San Jose, CA - Splashtop Inc., the worldwide leader in cross-device computing, today announced the release of Splashtop 2 HD for Android tablets - the next generation of its award-winning remote desktop. To achieve a new level of enhanced security, reliability and performance in Splashtop 2, Splashtop has built a global network of relay servers to form a "Bridging Cloud" infrastructure. To date, Splashtop has empowered more than seven million users of mobile devices, from tablets to smartphones, to remotely access Windows PCs and Macs to run applications, view and edit files, watch HD movies and play graphic-intensive games. 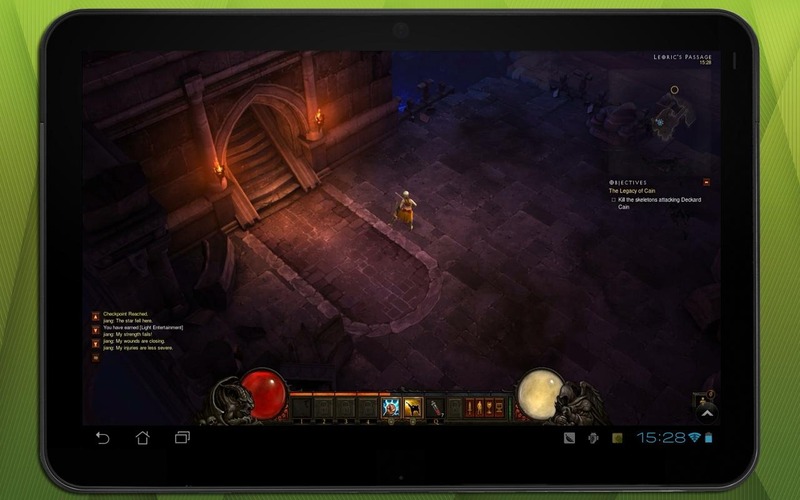 Now by popular demand, Splashtop is delivering Splashtop 2 HD for Android tablets running Android 3.1 and up. It supports high definition ("HD") video and is designed for devices with a screen density of 1280x800 on sizes of seven or ten inches. "In response to the high demand from Splashtop fans, we are delivering Splashtop 2 HD for Android tablet owners," noted Mark Lee, Splashtop CEO and co-founder. "With Splahstop 2 HD, users can now turn their Android tablets into a remote desktop to access their computers files, anywhere, anytime." "Security and privacy are no longer merely corporate concerns. Regular people like you and me also need to be reassured that our data is always safe and secure - every file on every device, everywhere and everyday. Splashtop 2 offers that peace of mind," noted Mark Lee, Splashtop CEO and co-founder. "Beyond security and privacy, Splashtop continues to make ease of use a priority. And, of course, we pride ourselves in staying ahead of the technology curve with our industry-leading performance." The Splashtop 2 HD app is available in basic form, which allows connectivity between devices in a local area network (LAN) environment; in addition, a module called "Anywhere Access Pack," available by in-app purchase, will allow users to connect to their devices across the Internet. 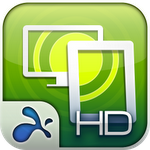 Splashtop 2 HD has an easy-to-use interface and has been optimized for new hardware features, such as HD resolutions. Splashtop 2 HD supports up to 30 frames per second of streaming and sub-30-millisecond latency, providing for smooth video and responsive gaming experience. With Splashtop 2 HD, the only configuration needed to connect to computers is a user name and password. There is no need to configure routers or firewalls, or to manually enter IP addresses or security codes. With the addition of Anywhere Access Pack, the same simple process lets users connect to their devices reliably from anywhere in the world, over the Internet. In addition, the app has self-optimizing technology that adapts to the conditions of the network, enabling the user to take full advantage of the bandwidth of a 3G/4G network or Internet connection. In addition to protecting user data through its proprietary Bridging Cloud, Splashtop deploys industry-standard encryption technology to maintain a high level of security. Splashtop 2 HD can be downloaded for Android tablets at https://play.google.com/store/apps/details?id=com.splashtop.remote.pad.v2 from Google Play free of charge for a limited time, after which it will have a list price of $9.99 USD. The Anywhere Access Pack can be purchased for $0.99 USD per month or $9.99 USD per year. Splashtop 2 HD requires the downloading and installation of the free Splashtop Streamer software onto a Window PC or a Mac. Supported platforms: Windows 7, Vista, and XP (including Home Premium), Mac OS X 10.6+ (Snow Leopard or Lion is required for Mac users). A computer with dual-core CPU is recommended for best performance. The purchase of Splashtop 2 includes a license to access up to 2 computers.